Businesses pledge to give formerly incarcerated a chance, standardized tests aren't always a fair, and the popularity of a March Madness bracket. 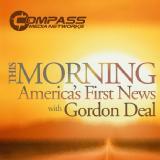 Jillian Berman from MarketWatch and Gordon Deal discuss tips for getting accepted into college if you don't have wealthy parents. The Tennessean's Joey Garrison has a look at the 'really smart guy' who aced SATs for rich students. Has the college cheating scandal shown that standardized tests aren't always fair? Eliza Shapiro from the New York Times gives us a look. David Dillard from KD College Prep gives us a look inside the college prep process. 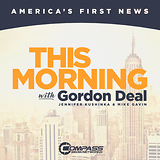 Corporate Communications Strategist Michael Maslansky and Gordon Deal discuss how colleges need to respond to the admissions scandal. Charisse Jones of USA Today says that past mistakes from your youth can cost you when it comes to your career. How hard is it to work your way through college? Jillian Berman from MarketWatch has the story. Listen as the New York Times' Natasha Singer tells Jennifer Kushinka how companies are selling survey data on millions of high schoolers to trick them into paying for entry into programs. Listen as MarketWatch's Jillian Berman tells Gordon how parents are borrowing more and more money to pay for their kids' college tuition. CNBC's Kelli Grant explains how cut into those ballooning college costs. Josh Mitchell from the Wall Street Journal breaks down how colleges are reining in tuition costs. Kelli Grant from CNBC has a look at how to beat down those college bills. Reid Wilson from The Hill provides a startling look at the differences in life experience between college-educated Americans and those who didn't attend college. What caused the weekends massive cyberattack, North Korea fires new type of longer range ballistic missile, and proof that college grads are totally delusional about the real world. College commencement speeches are a surprising no-Trump zone. Rick Hampson from USA Today has the story. In order to enroll more students some colleges are offering to cover student loan debts. The Wall Street Journal's Doug Belkin has more.